If you go to unfamiliar places, doesn't have time to plan your trip or just plainly lost, tourist information is your best friend. Even if you did a detailed research on the places you want to go, tourist information centres always have vital information not found on the website. The 'local knowledge' is what I'm after which could make or break a trip - or even save time. In fact, I would not found Cornwallis Long Jetty without Arataki Visitor Centre. 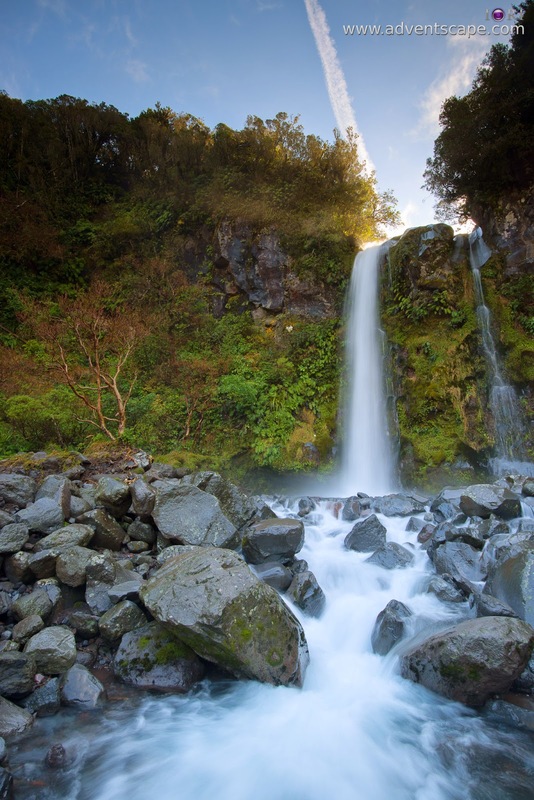 One of the best tourist visitor centre at the West Coast of North Island, New Zealand would be Dawson Falls Tourist Lodge. This is also known as Dawson Falls Mountain Lodge. I added the location of Dawson Falls Tourist Lodge in my map below. Please zoom in near Mount Taranaki and you'll find the 'i' symbol for Information Centre. You can use it to directly search through Googles Maps. Just remember to have GPS if you don't know the way. I won't rely on my phone's GPS / Data as there are certain parts that doesn't have cellular signal. Just go there, drove through the thick wall of trees and arrive, you'll be at awe. 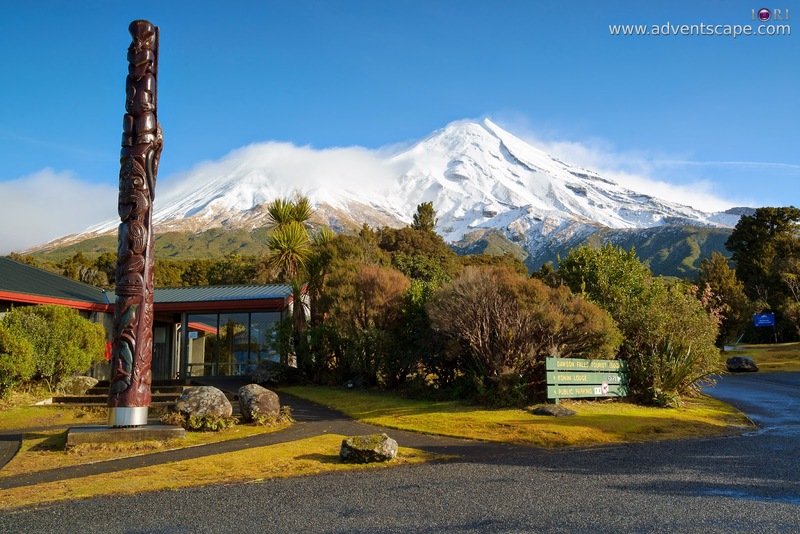 Yes, this tourist information centre is located near Mt Taranaki - actually, Mt Taranaki is it's backdrop. I could not stress this enough. (refer to my photo at the very beginning of this blog post). Below is a photo taken from the nearby lookout of the visitor centre. It's really majestic. When we arrived, clouds are already covering Mt Taranaki. We could still see the peak of the mountain, but the clouds partially cover it. I didn't get a perfect shot (without the clouds). But it's enough to view the best part of Mt Taranaki. 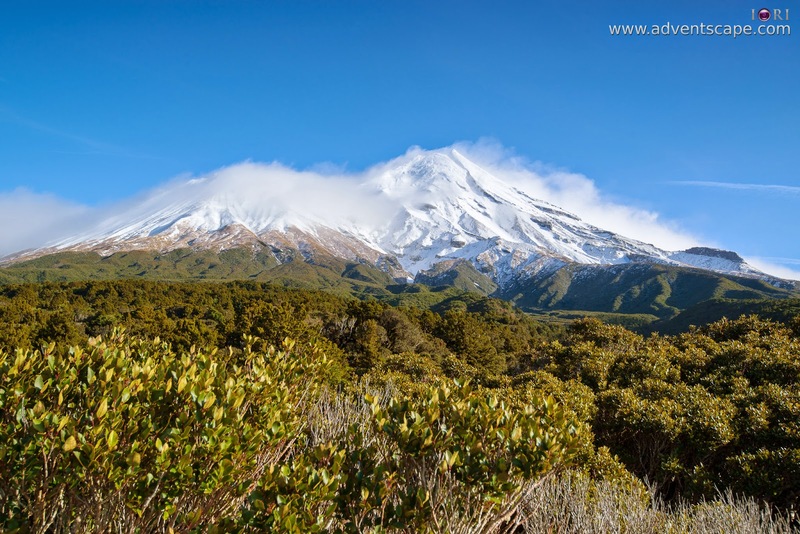 Many locals will tell you that if you can take a photo of Mount Taranaki, you're already lucky. They said that it's always raining or cloudy at the west coast. We decided to see Dawson Falls. It's just a 20-30 minute walk to this magnificent falls so we decided to go there. Though it's short, it's challenging. The decent is steep. Thus, you need to have good knees. But the decent has good pathway. Just be careful because it's slippery and wet. Since the decent is steep, going back is a task as well. You just need to ascent slowly ensuring you'll not slip as you step up. 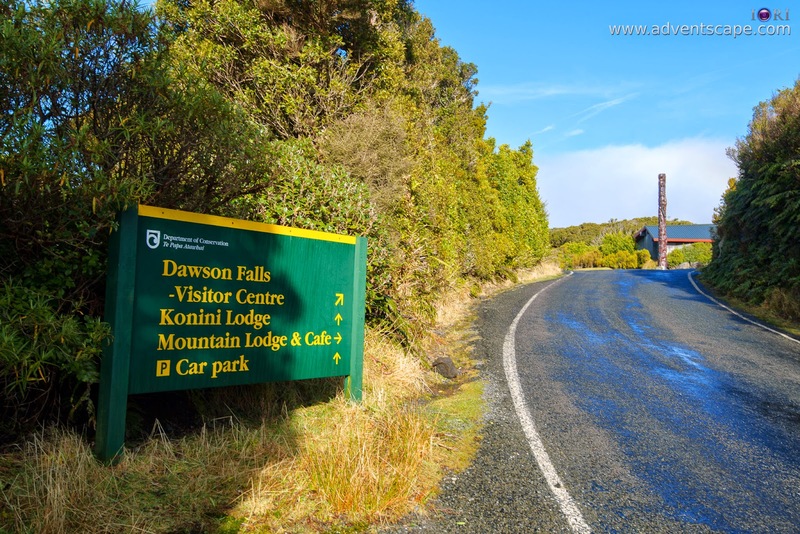 The Dawson Falls Tourist Information Centre itself is big unlike other information centres. 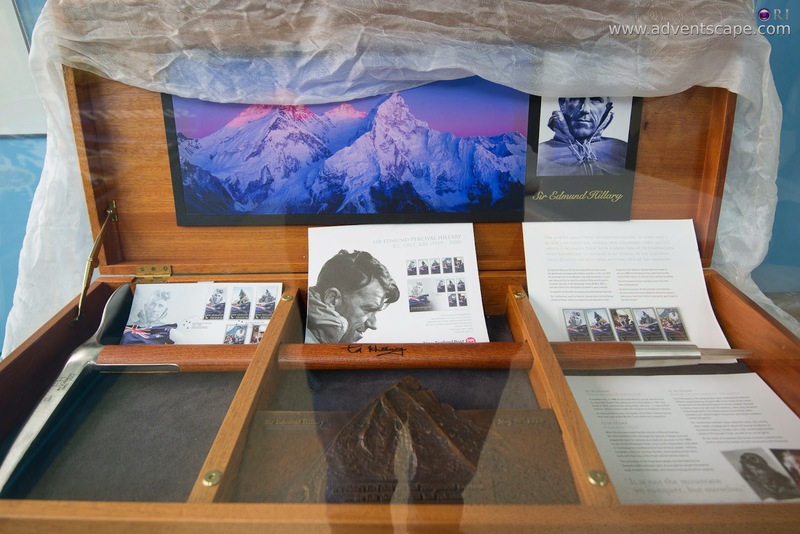 Thus, it offers a mini museum for visitors. If you like reading information or would like to have a guided tour, then this is a good place to find relevant information of the locality. I enjoyed my small tour inside. There is also a photo opportunity inside the museum. There is always a hiking route for you anywhere in New Zealand. 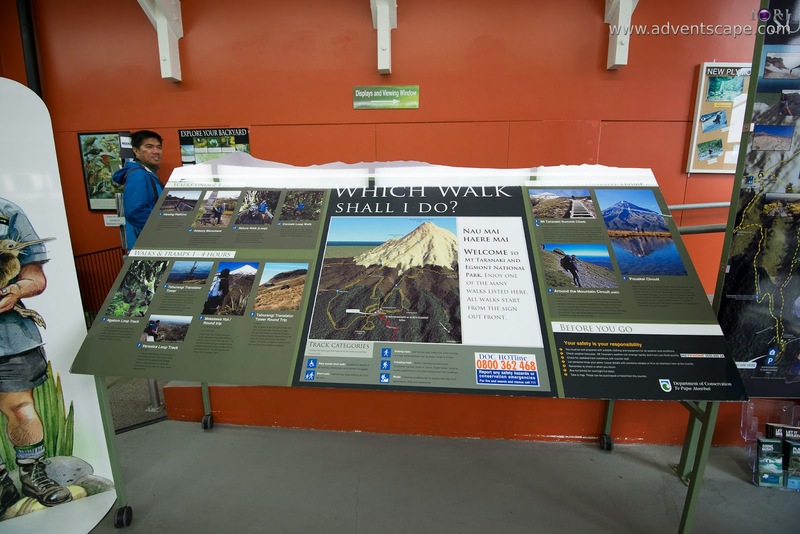 There are 2 prominent walking tracks nearby the visitor centre, Summit Track and Ridge Track. Summit track is a day trip (summer) of a whooping 10 hour hike. This will end up at the summit of Mount Taranaki. Ridge track is just a 2 hour track with some stream crossing. Visitors usually ignore tourist information centres because most information is already written in the internet. But it's not only general information you're after, you're also after 'local' knowledge. In this case, you're after other activities that the visitor centre can provide. 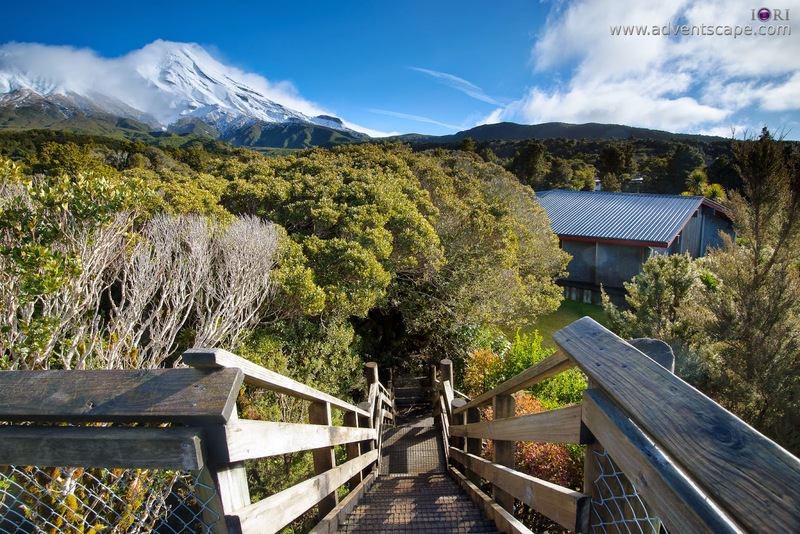 The beautiful Mt Taranaki as a backdrop, the mini museum and the awesome Dawson Falls are just a few things you'll have if you just give this Dawson Falls Mountain Lodge.